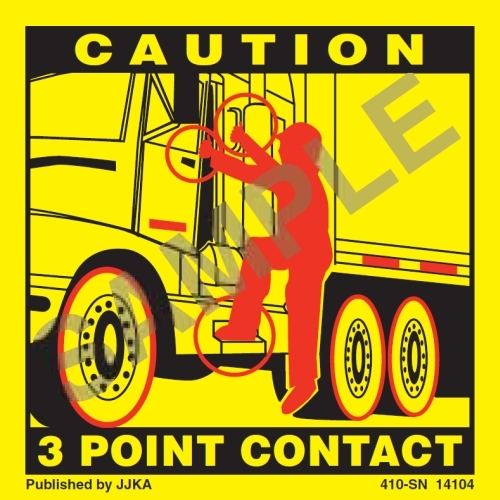 J. J. Keller's 3 Point Contact Labels can help you keep your drivers free of injury by reminding them to use the safe, three point contact method when entering and exiting vehicles and equipment. 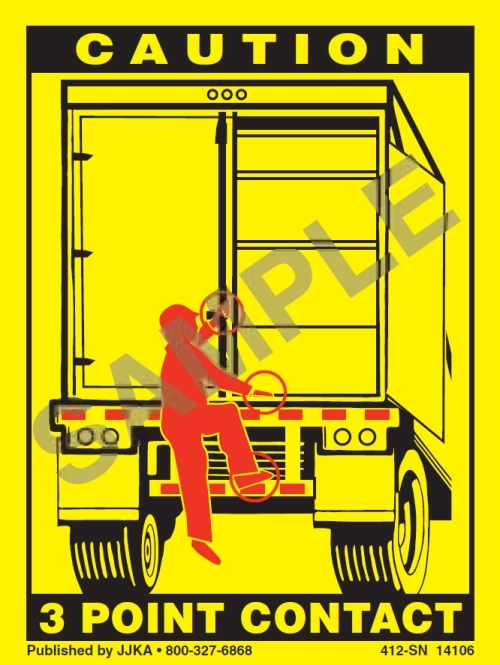 Illustrations showing the 3 point contact technique to use with a specific vehicle or piece of equipment. An image of a person in bright red to highlight the proper position. Durable screen-printed black and red ink on a bright yellow background for increased visibility. 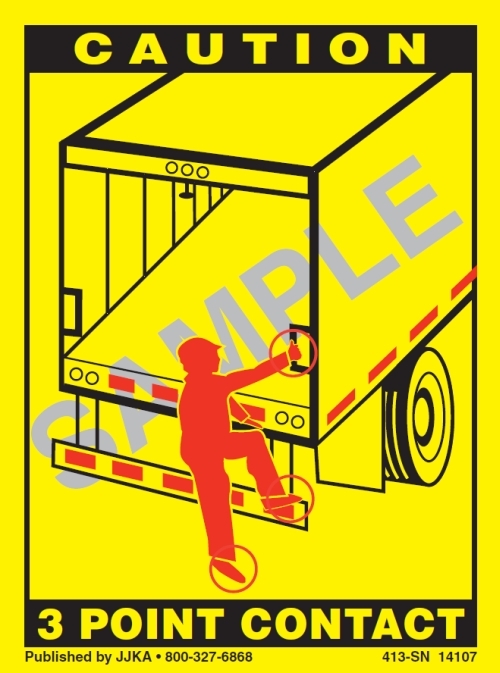 Choose from four labels: Tractor, Tanker Back, Trailer Swing Doors, Trailer Roll Up Door. 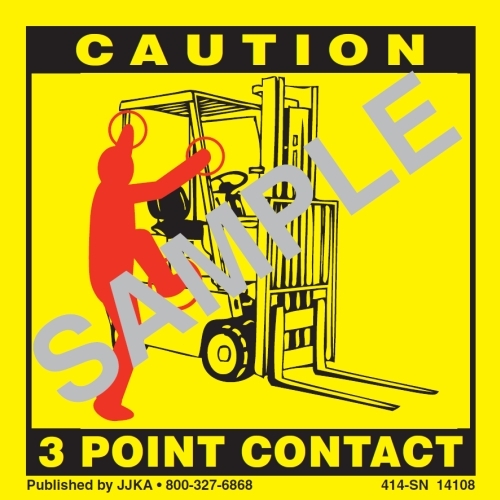 J. J. Keller's 3-Point Contact Labels can help you keep your employees free of injury by reminding them to use the safe, three point contact method when entering and exiting vehicles and equipment. 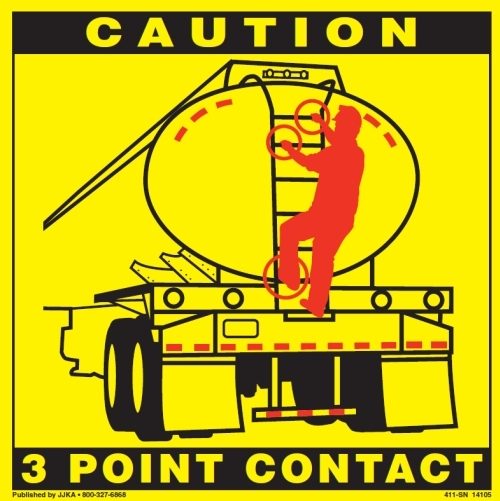 Illustrations showing the 3-point contact technique to use with a specific vehicle or piece of equipment. 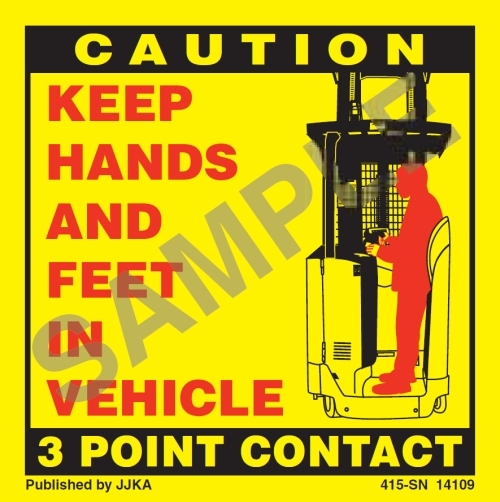 Two different forklift labels are available: Forklift Seat and Forklift Standing.